Deluxe Multi Functional Gym Trainer. Strong Steel Frame (70 X 50 X 2.0 Mm) With 80*2 Kg. Cast Iron Weight Stack. Accessories Including Multi Functional Bench, Ez-bar And Shoulder Rope. 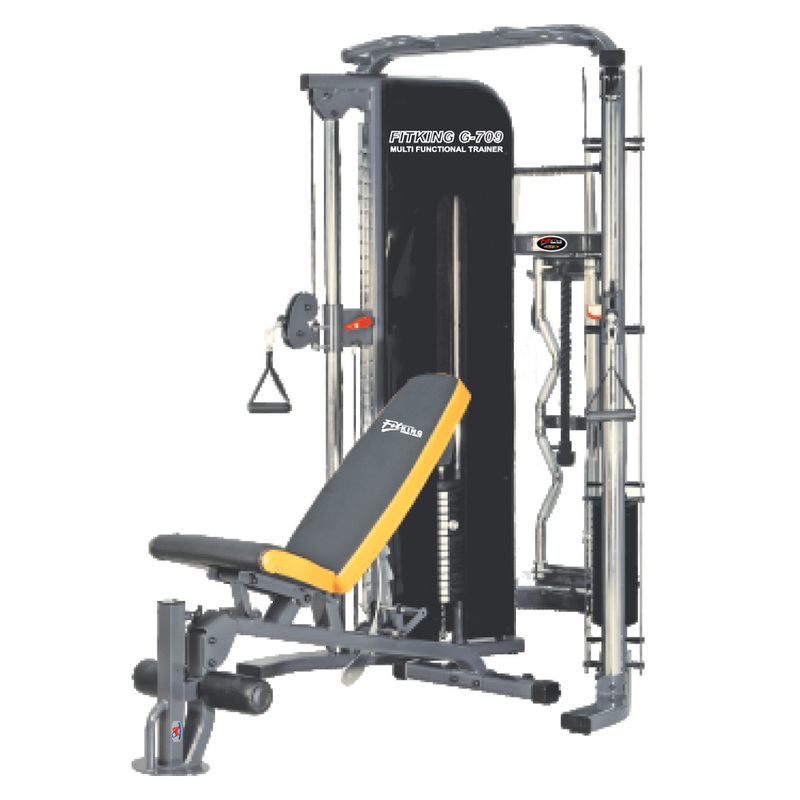 Dual Angled Pulley System Offers 22 Easy- To Adjust Positions Per Column And Independent Movement Of Body Promoting A Wider Workout Variety. Adjustable Hand Grips And Chinning Bar For Exercise Choice. Ergonomics Handle Designed For Maximum Control And Efficiency.